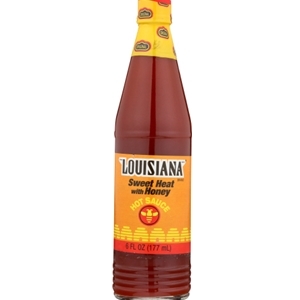 LOUISIANA BRAND SWEET HEAT W/ HONEY HOT SAUCE 6 OZ. Louisiana's Sweet Heat with Honey Hot Sauce proves that your kick can have a sweet side. Use it to add the bold flavor of aged red peppers with a touch of honey to all your favorite foods.